Update: Total Balance Fitness Boot Camp had an awesome run from 2010-2015. Sometimes training sessions with Amanda still look like Boot Camp, especially the small groups. Keeping this page up just because it was so fun while it lasted! Total Balance Fitness BOOT CAMP is a high energy, calorie torching workout, including a dynamic warm-up, partner and group activities, functional strength, plyometric exercises, core and balance work, and integrated flexibility. You will SWEAT and be sore for days, not to mention have the time of your life and make a bunch of new fit friends! Many have had GREAT results: getting stronger and faster, building muscle tone, and losing body fat. Read some testimonials here. The class is open to all levels, from total newbies to experienced fitness buffs. Any exercise can be modified to fit any fitness level/age/gender/ability/whatever. Come check it out for FREE (one free class to new boot campers! ), to see if you like it. When you sign up, you’ll get two hour-long workouts per week with our Certified Personal Trainers (Amanda, Steve, or Haley), in a group of 8-15 other boot campers, plus nutrition and lifestyle tips and encouragement, and assessments and individual meetings every 8-12 weeks to make sure you are on track and see how else we can help you reach your fitness goals. Boot Camp may not be appropriate for everyone; if you are injured or have movement limitations, you may be better off starting with some Personal Training to get you up to speed. Contact us if you have questions. Go in the glass door and head downstairs. What to bring: water, a mat (you’ll need it just when we are indoors), sweatshirt/hat (for outdoor workouts; optional), and a towel (optional, but you will sweat!). MLK Park at 42nd and Nicollet. Meet at the bottom of the hill, closest to the intersection of 1st Avenue and 42nd Street. Be prepared for the outdoors (possible mud or grass stains, wind, bugs, etc). There is lots of street parking on 42nd Street, 1st Avenue, and Nicollet. Leave valuables in your car, or don’t bring them. There are restrooms and water fountains at the park. In case of rain or cold weather, and when it gets too dark in the late summer, we will meet at the church and work out in the basement (address below). I’ll post updates to my Facebook page on the day of boot camp so you can check where we’re meeting if you’re not sure about the weather. is boot camp outside at 6pm and still going on? I just wanted to check, but the evening boot camp classes in Jan aren’t outside are they? Goodness no, especially not today!! Note the indoor location: inside Solomon’s Porch church basement, 100 W. 46th Street. Hope to meet you soon at a boot camp, Nikki!! Are these boot camps still going on? Sarah: as of Summer 2015 I am not running any “boot camps”. However I am doing Small Group Workouts in the Park at times when the weather is nice. 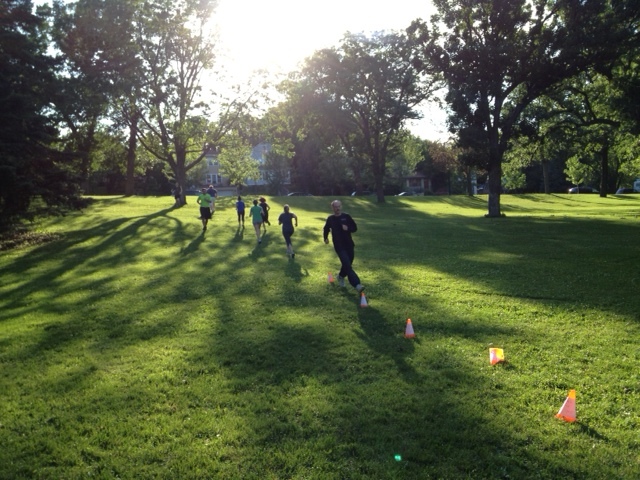 It tends to look like a boot camp, but with a smaller group. Interested in checking it out?